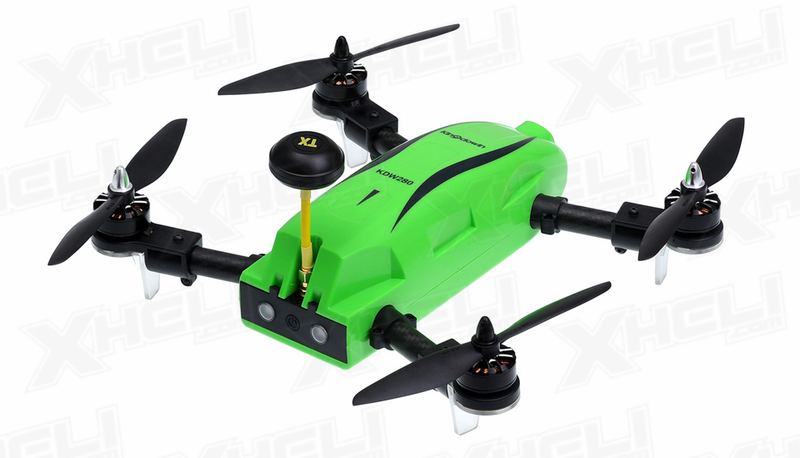 Top RC is proud to introduce a new 280 class FPV racing quadcopter dubbed the ?Kingdowin KDW280.? 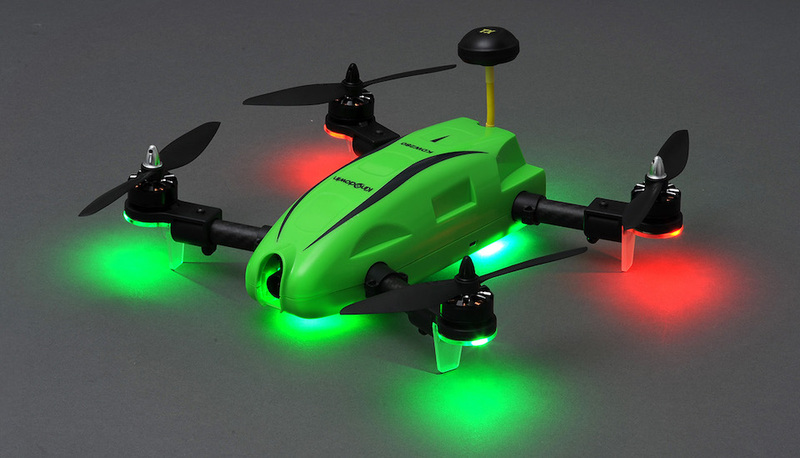 This ultimate racing machine is a quadcopter drone designed to deliver fast, stable and agile maneuverability, allowing it to compete on any extreme drone racing course. Carbon composite materials are used to construct the frame providing high structural integrity. Every single part of the KDW280 frame is aerodynamically designed and specially structured to help maintain stable straight-line, fast, and predictable flight maneuvers. The tubular carbon arms brace the 2300KV motors on all 4 corners providing rigid no flex support. The highly integrated all in one circuit board gives extra stability and handling to the KDW280, featuring the SP Racing F3 flight controller, 6 axis gyroscope, barometer sensor, 4x ESC, and OSD resulting in highly stable and reliable performance. 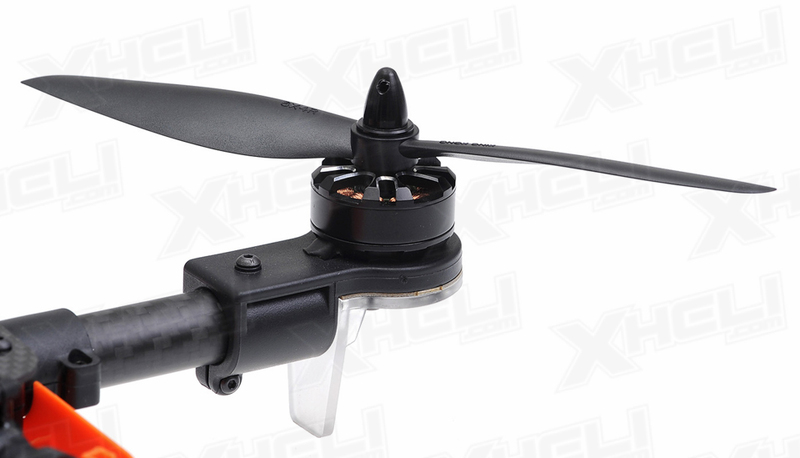 This enables the quad to fly at a high rate of speed zipping past your competition! 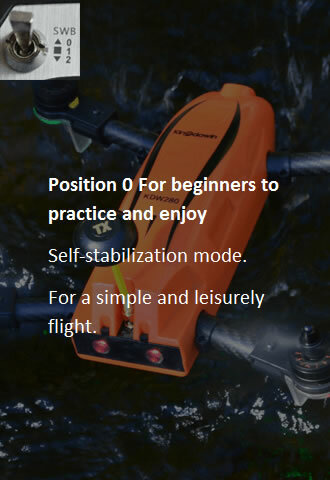 The built in OSD module will give you crucial information such as your pitch, altitude, flight time, flight mode, battery voltage, and amp draw. The Kingdowin KDW280 is housed in a durable sleek composite plastic race body shell system which delivers aerodynamic efficiency and reduces the overall coefficient of drag. 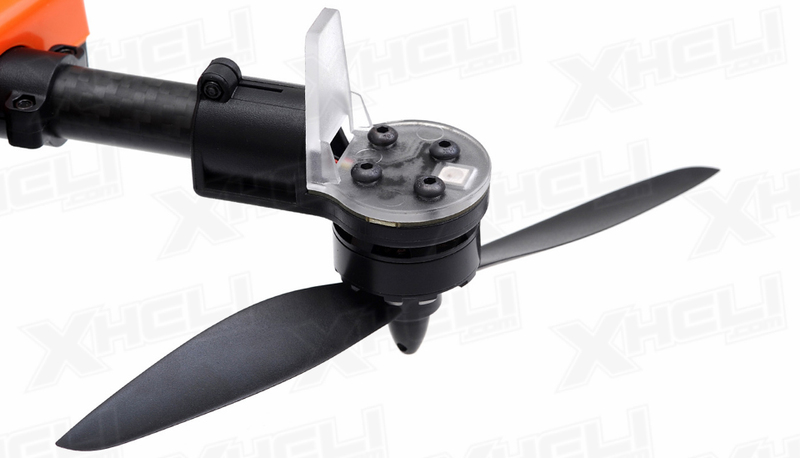 The body shell also protects the electronics and camera system from adverse weather conditions or even your opponents rotors in case of race contact. The shell installs and opens up securely via a clam shell type of operation and clips together with an audible click - no tools required. 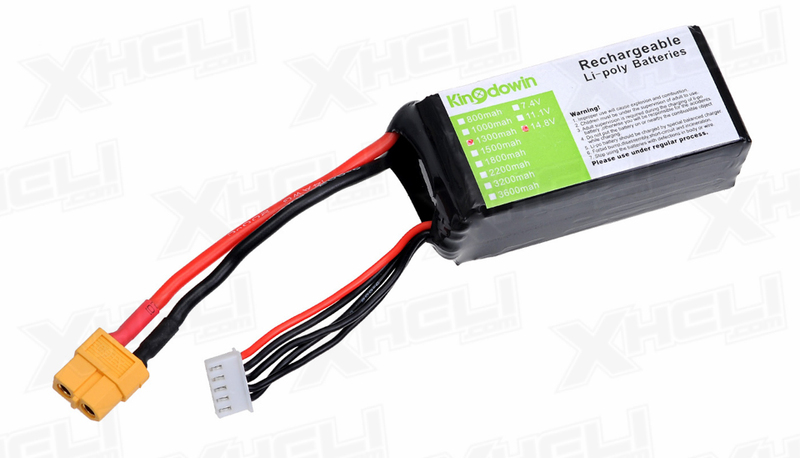 The included 14.8v 1300mah battery is mounted securely in the center of the chassis and has movement range for larger or smaller batteries to achieve perfect center of gravity. 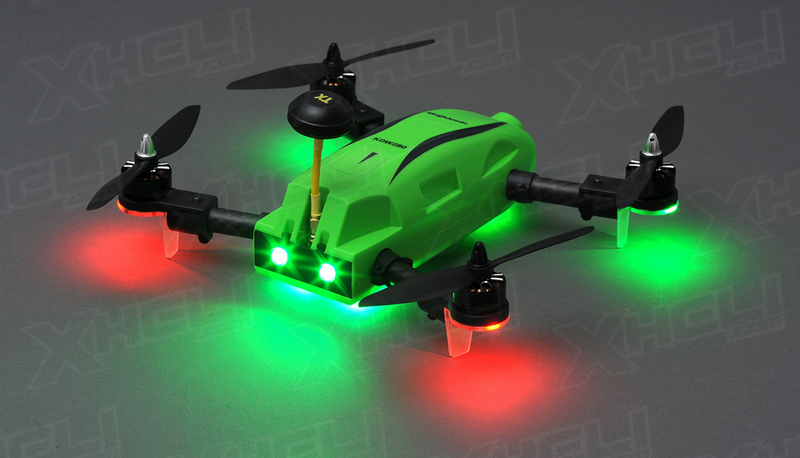 The KDW280 can be flown with either a 3S or 4S batteries. 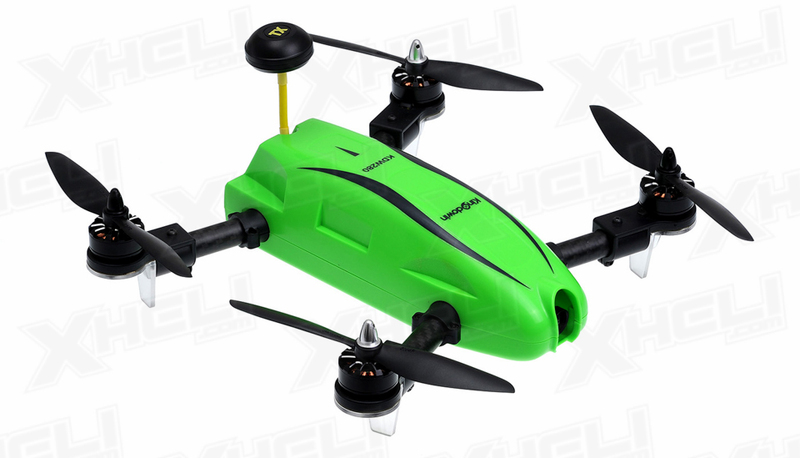 With a 3S 1500mAh 30C battery you should get around 10-12 minutes of flight time. 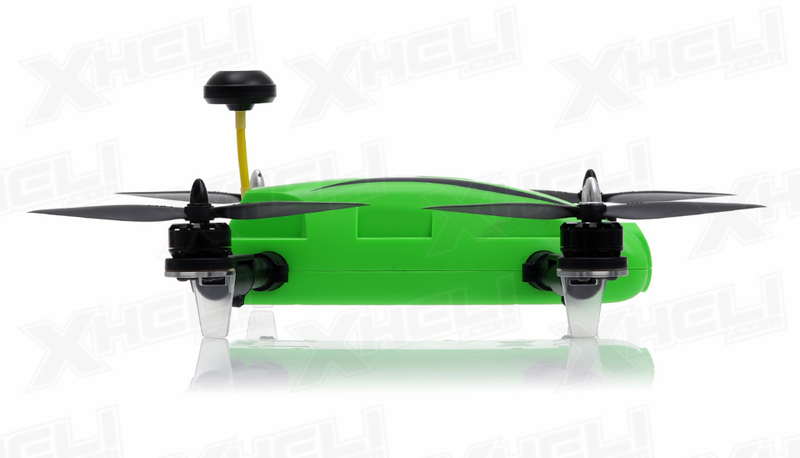 With a 4S 1300mAh 30C you can expect 8-10 minutes of flight. Upon opening the top shell you are greeted with a Sony Class CCD Camera. 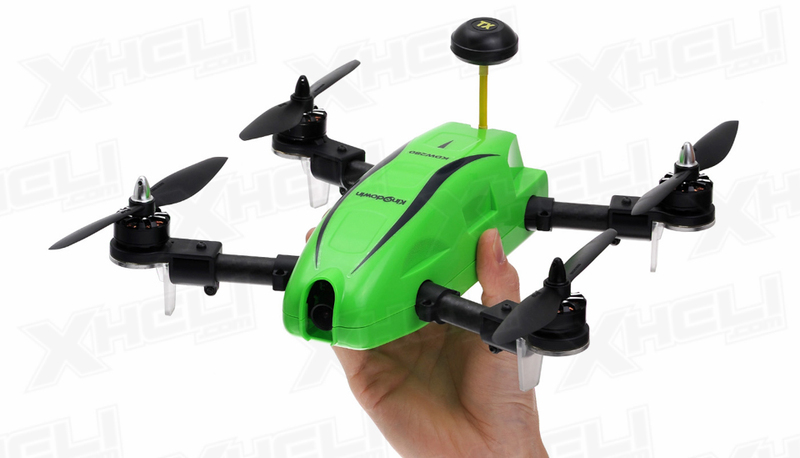 Out of the box you are able to record flight footage onto an micro SD card. FPV capable flight is achieved using the onboard transmitter (included) when mated to a FPV receiver system (not included). 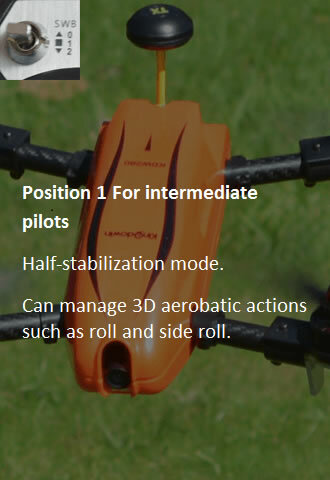 Clear and stable FPV video feeds help the pilot maintain better control of the quadcopter during a race. To provide a stable video feed, the KDW280 camera mount is mounted to a rigid system which allows the pilot to tilt for maximum viewing angle. 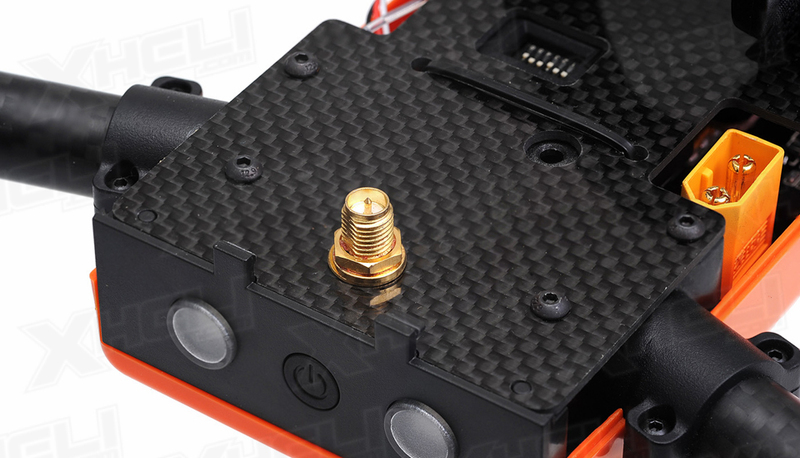 The unique one-piece camera mount and damping system work together to isolate vibration from the FPV camera, providing a clear view for the pilot. 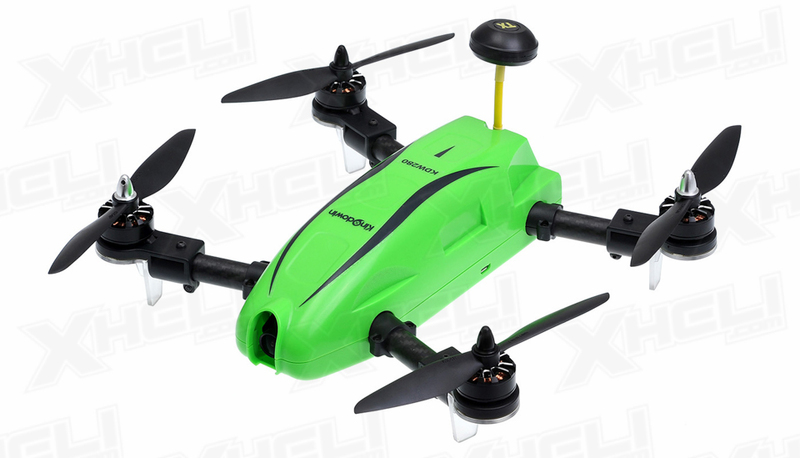 Compatible with Fat Shark and most FPV screen/goggles on the market. The Kingdowin KDW280 connects with the pilot with enhanced lighting features. The machine is equipped with a plethora of LED lights along with directional sequenced LED light pulsing. This means when you yaw left or right the LED lights on each leg will pulse corresponding to your directional controls. 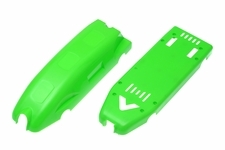 When you pitch forward or back the green LED arrow on the front or two stripes on the rear bottom of the chassis will also pulse correspond to your controls. The LED lights on front and rear motors are also color coordinated red and green for enhanced pilot and machine orientation assist. Additionally, at the back of the quad you will find 2 more LED lights which act as taillights that also follow this pilot intuitive connective flashing. Experience a new sensation of pilot and machine connectivity with pulsing lights. 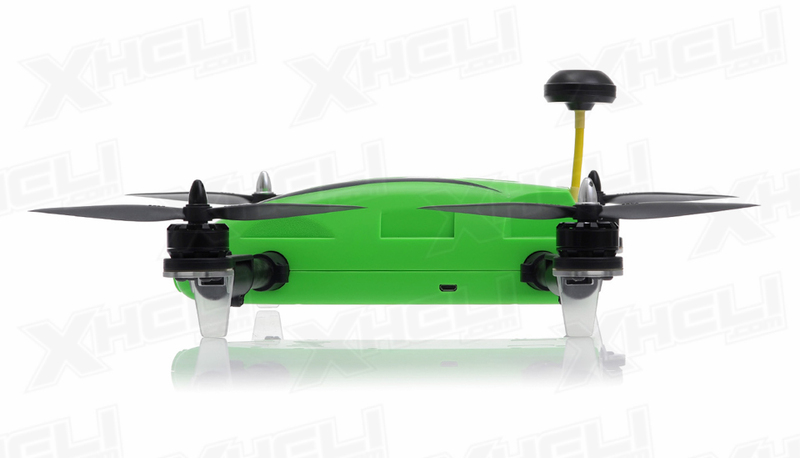 The Kingdowin KDW280 body shell is also available in three bright colors: blue, orange, and green. 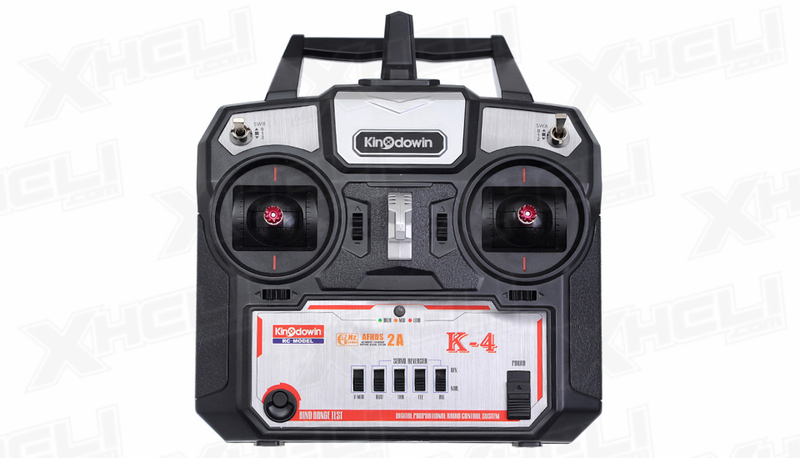 This race ready drone is ready to fly out of the box fully assembled with a 6 channel Kingdowin Radio. You will need a lithium battery charger capable of charging a 14.8v 1300mah battery to complete the setup. 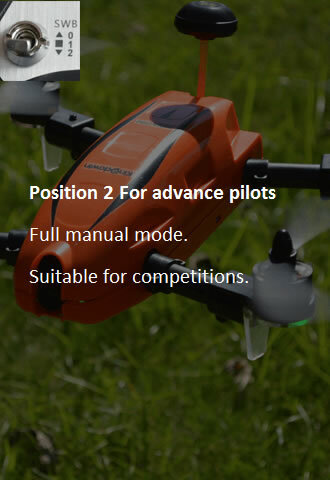 Three flight modes are preset for beginners, intermediate and advanced pilots.